Steel Fabrication Service Service Partners at Hometriangle. The providers on-boarded on Hometriangle are approved only after an extensive background scrutiny and customers reference checks. 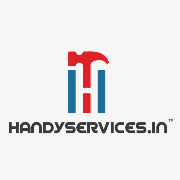 We are HandyServices.in, Handyman Firms in Ahmedabad. We are into service from almost 5 years having a very rich experience in this field. We know exactly what customer wants and how to cater to it. We are extremely happy to provide you exquisite services through Hometriangle. We are Royal Engineering Works, General Contractors in Bangalore. We are into service from almost 29 years having a very rich experience in this field. We know exactly what customer wants and how to cater to it. We are extremely happy to provide you exquisite services through Hometriangle. We are Roots Landscape Architects, Architects in Pune. We are into service from almost 2 years having a very rich experience in this field. We know exactly what customer wants and how to cater to it. We are extremely happy to provide you exquisite services through Hometriangle. We are Vilas Garden Centre, Architects in Pune. We are into service from almost 2 years having a very rich experience in this field. We know exactly what customer wants and how to cater to it. We are extremely happy to provide you exquisite services through Hometriangle. We are Megaton Solutions, Painting Contractors in Jaipur. We are into service from almost 2 years having a very rich experience in this field. We know exactly what customer wants and how to cater to it. We are extremely happy to provide you exquisite services through Hometriangle. We are Shri Adinath Enterprises, Painting Contractors in Jaipur. We are into service from almost 2 years having a very rich experience in this field. We know exactly what customer wants and how to cater to it. We are extremely happy to provide you exquisite services through Hometriangle. We are Green Land Associates, Architects in Lucknow. We are into service from almost 2 years having a very rich experience in this field. We know exactly what customer wants and how to cater to it. We are extremely happy to provide you exquisite services through Hometriangle. We are Manoj Waterproofing Works, Painting Contractors in Jaipur. We are into service from almost 2 years having a very rich experience in this field. We know exactly what customer wants and how to cater to it. We are extremely happy to provide you exquisite services through Hometriangle. They are very nice people, They have done proper Steel Fabrication for our Software Office in Bangalore, Cost also very less when compare to other people, service also good !!! What you want u will get with a reasonable price and within predetermined time limit.